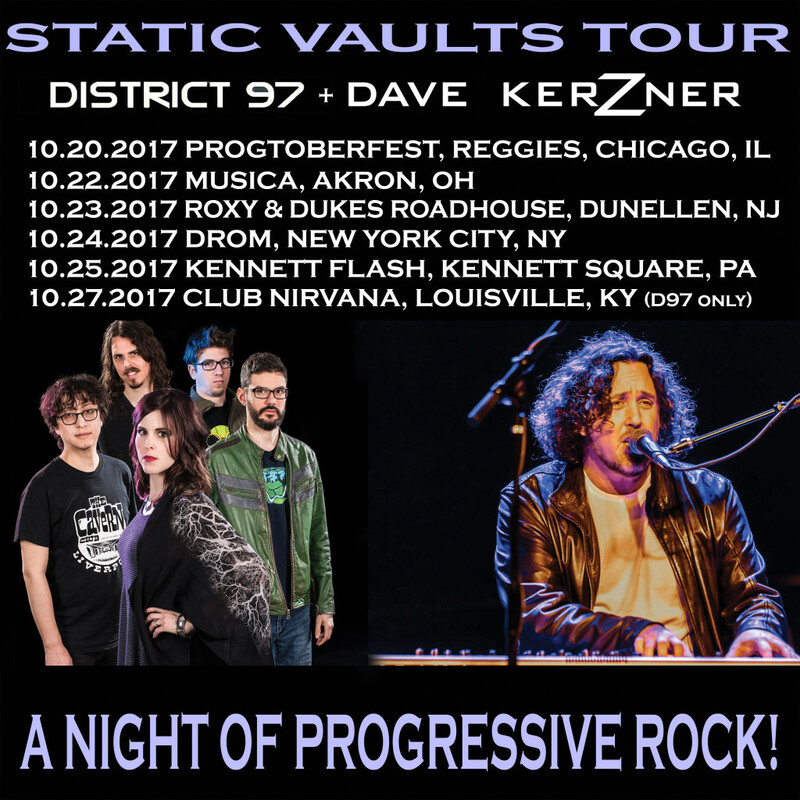 Chicago-based modern/progressive rock outfit DISTRICT 97 continues to support their 2015-released Laser’s Edge debut, In Vaults, confirming a new run of tour dates alongside the DAVE KERZNER BAND this October. Chicago’s DISTRICT 97 has been wowing audiences and listeners worldwide for nearly a decade. 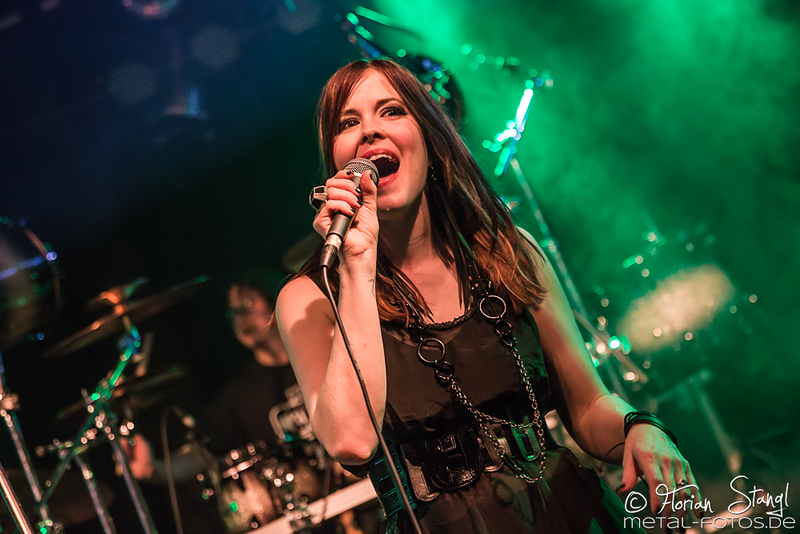 Fronted by the charismatic, powerhouse vocalist Leslie Hunt, they will feature songs from their highly acclaimed album In Vaults, as well as unheard music destined for their upcoming release. Additional tracks from across their previous albums will also be spotlighted, including classic King Crimson material they’ve performed live with the late, great John Wetton. DAVE KERZNER, out of Miami, is known for co-founding the award-winning band Sound of Contact with Simon Collins (son of Phil Collins). He and his band are a popular returning favorite on Yes’s Cruise To The Edge. They are now touring to support Kerzner’s brand new solo album Static, which features special guest musicians from bands such as Pink Floyd (Durga McBroom), Genesis (Steve Hackett), Porcupine Tree (Colin Edwin) and more. DISTRICT 97 has performed with DAVE KERZNER to enthusiastic crowds in Europe in 2016, and now with their Static Vaults Tour they are bringing this beloved double progressive rock show back home, performing the US together for the first time. This week it has also been announced that DISTRICT 97 will be returning to RoSFest in Gettysburg, Pennsylvania for the 2018 edition of the event. The fest runs from May 4th through 6th, and D97 will play on the opening night. Delivering over an hour of DISTRICT 97’s energetic progressive, alternative, metal, pop crossover, the immaculately produced In Vaults shows this young, diversified rock outfit in their most impressive form yet. In Vaults boasts the band’s evocative and powerful songwriting and musical deliverance, as well as a searing performance from American Idol Top 10 Female Finalist, Leslie Hunt. The album was recorded at IV Lab Studios in Chicago, engineered by Chris Harden with additional engineering by Shane Hendrickson, mixed by Jeff Fox and Rich Mouser (Spock’s Beard, Transatlantic) at The Mouse House Studio, mastered by Grammy winning engineer Bob Katz, and dons stunning imagery by Björn Gooßes of Killustrations.